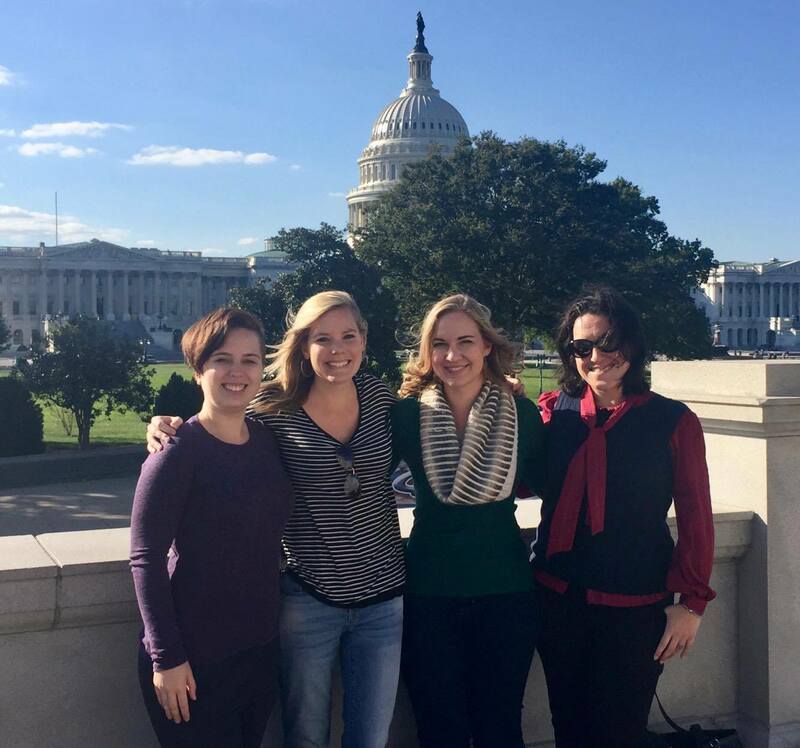 3Ls Amanda Feriante, Laurel Michel and Haley Claxton, and 2L Lindsie Ford at the U.S. Capitol. James Garfield is my favorite U.S. president. Most people have never heard of our 20th president, and if they have, all they know about is his tragic assassination roughly three months into his presidency. However, prior to his short time in office, Garfield was a congressional representative for many years, multi-tasking as an attorney, often representing clients pro bono before the courts, including the U.S. Supreme Court. Like Garfield, I seek to practice public interest law following graduation. To that end, I applied to attend KU Law’s trip to the 2016 Equal Justice Works (EJW) Conference and Career Fair in Washington, D.C., with a group of my classmates. My experience at the conference changed my life for the better. 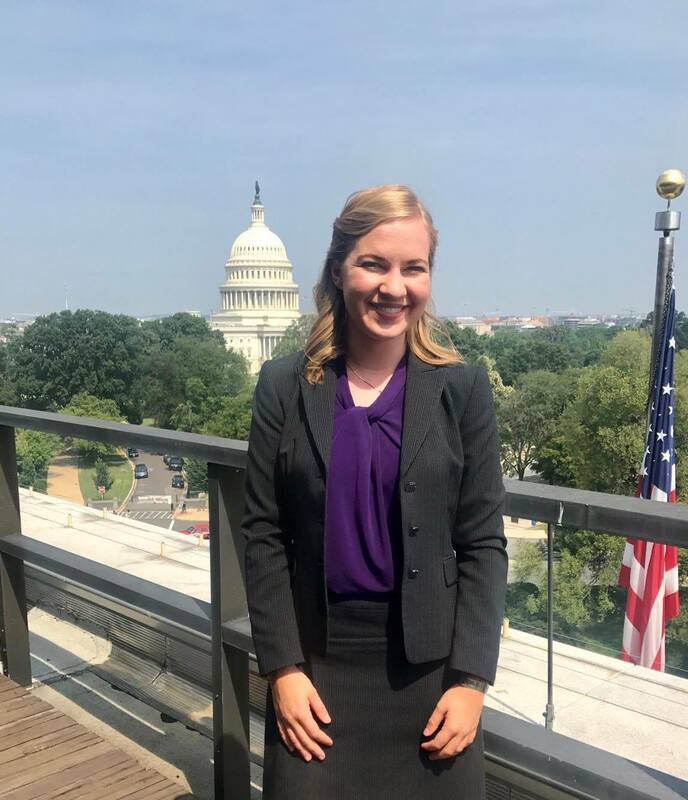 The KU Law EJW trip provides the chance for a number of students interested in public interest law to visit the nation’s capital and attend the EJW Conference and Career Fair. When we arrived in D.C. in 2016, we attended a reception with KU Law alumni who live and work in the D.C. area. 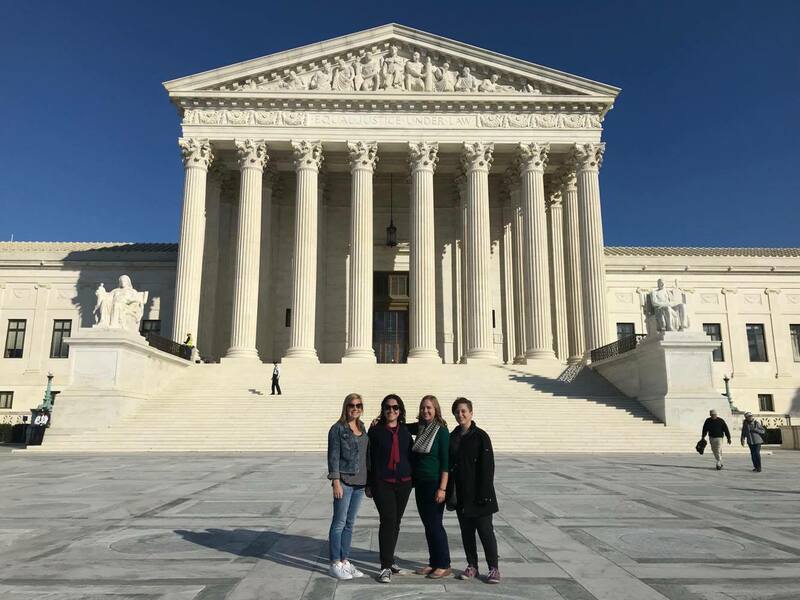 With a wide variety of legal careers, many of these alumni offer sincere support and invaluable advice to KU Law students aiming to practice in Washington, D.C.
After meeting with alumni, we attended the EJW Conference the next day. 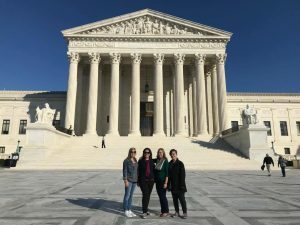 EJW is a non-profit organization which aims to connect up-and-coming law students and attorneys to internships and jobs serving the public interest. The EJW Conference and Career Fair combines opportunities to interview and network with potential employers and fellow students with useful workshops and inspiring speakers, including Supreme Court Justice Elena Kegan. While listening to Justice Kegan explain her background in studying history and her somewhat roundabout path toward law school and through her legal career, I couldn’t help but relate. Most of all, I was inspired by the number of students from across the country looking forward to careers supporting the public interest. Following the first day of the conference, several of us went to walk around the National Mall at night, ending up in front of the Lincoln Memorial. Looking up at the giant face of one of America’s most memorable lawyers-turned-president, I felt resolved to return to D.C. to use the skills I built at KU to help make a difference in the lives of Americans. This realization, supported by the lessons I learned through the conference itself, gave me the determination and drive to seek out opportunities in D.C. for the following summer, including an internship at one of President Garfield’s favorite places: the Library of Congress. 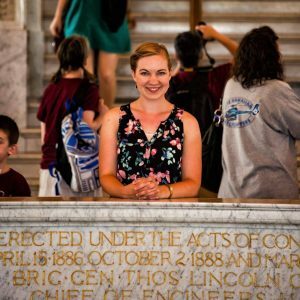 My internship with the Library’s Office of the General Counsel fulfilled my lifelong dream of working in the world’s largest library. I also gained experience working with legal issues related to the library’s educational goals. I had the opportunity to explore the library’s amazing collections and historical documents, including the ledger containing Abraham Lincoln’s check-out record, and to explore D.C. with my roommate, fellow KU Law student Laurel Michel. Together, we attended panels and visits to federal agencies, visited more than 20 museums, galleries, historic sites and countless monuments, and shared even more great memories. This October, I returned to the EJW Conference, more dedicated than ever to pursue a career serving the public interest. One of the highlights of the trip was listening to Supreme Court Justice Ruth Bader Ginsburg discuss her own career and the support she received in attaining her position on the Court. “If you have like-minded people working with you and you are supporting each other in what you are trying to accomplish,” she explained in her speech. “That makes an enormous difference.” As I continue to prepare for my graduation in the spring, I could not be more grateful for the encouragement and guidance. — Haley Claxton is a 3L from Olathe, Kansas.